Barcelona goalkeeper Jasper Cillessen is being tipped to return to Ajax this summer, according to reports in Spain. Since joining the Catalan giants in 2016, the 29-year-old has been limited to just 28 appearances across all competitions. Injuries and the presence of first-choice goalkeeper Marc Andre ter-Stegen have ensured that he has merely played a bit-part role, predominantly being limited to featuring in the Copa del Rey. With that in mind, an exit to secure regular football would seem like an obvious desire for the Dutchman, and as noted by Calciomercato, via Sport, it is suggested that an exit this summer to return to the Dutch giants could be on the cards. That would undoubtedly be a sensible move for Cillessen in terms of getting back a prominent role, while Ajax will surely be delighted to welcome him back to the club too given his previous impact. 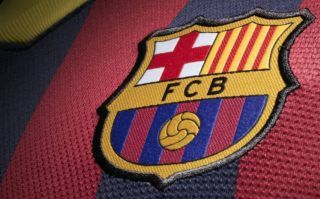 However, that could leave Barcelona in need of a replacement, and so whether or not they want that distraction from addressing other areas of the squad remains to be seen. It’s worth noting though that Calciomercato have also previously reported that Cillessen has a €60m release clause in his current contract, and so it remains to be seen if Ajax, or any other interested party for that matter, are capable of convincing the reigning La Liga giants to sell him for less. That’s a huge fee for a goalkeeper who hasn’t played a lot of football over the past two seasons, and so it’s arguably highly unrealistic for Barcelona to expect to get anywhere near that much for him, if they do indeed agree to sell him this summer.